24 of the most common spectrally engineered color patches in a portable vinyl sleeve. 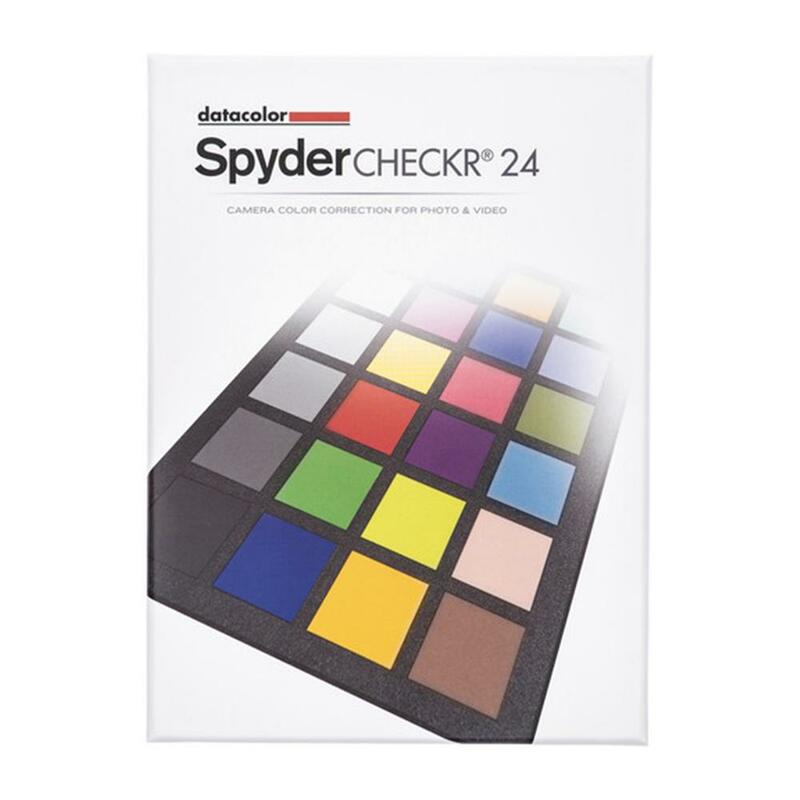 The Datacolor SpyderCHECKR 24 target offers the accuracy of full size, spectrally designed pigment patches, in a thin, portable, affordable color target designed for both still and motion imaging. SpyderCHECKR 24's gray face provides in-camera and post-process white balance and exposure adjustment, while the color face allows you to color correct your capture automatically in Adobe Photoshop, ACR, Adobe Lightroom, Hasselblad Phocus, and Blackmagic DaVinci Resolve. Affordable professional pigment-formulated color and gray target. 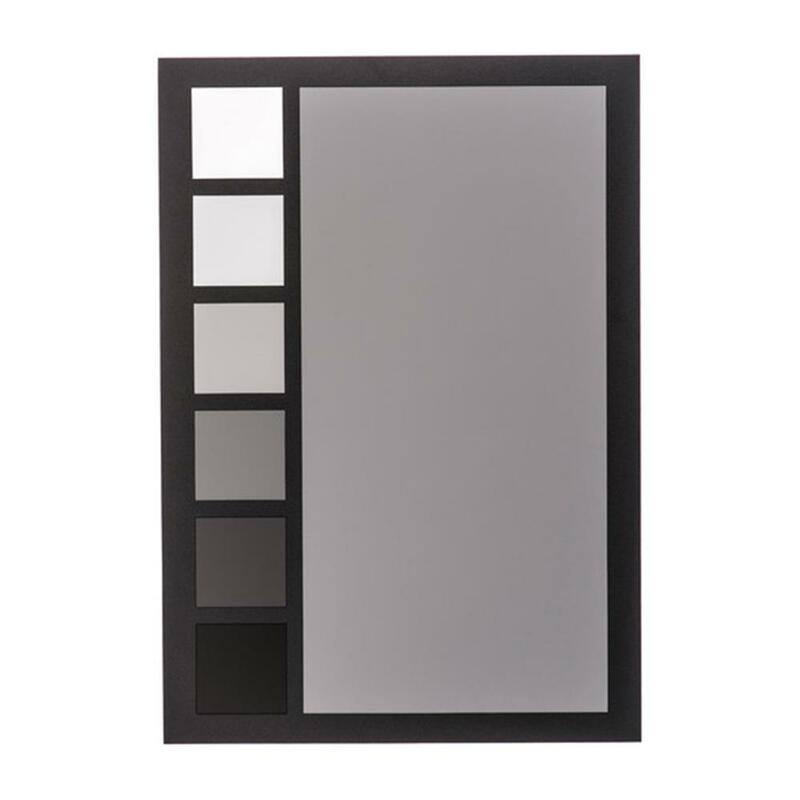 Matte finish ideal for a range of lighting conditions. Portable, durable vinyl sleeve to fit easily in your equipment bag. Easy-to-use software automatically rotates the target from any of the four possible orientations. Professional pigment-formulated color and gray target, at an affordable price. 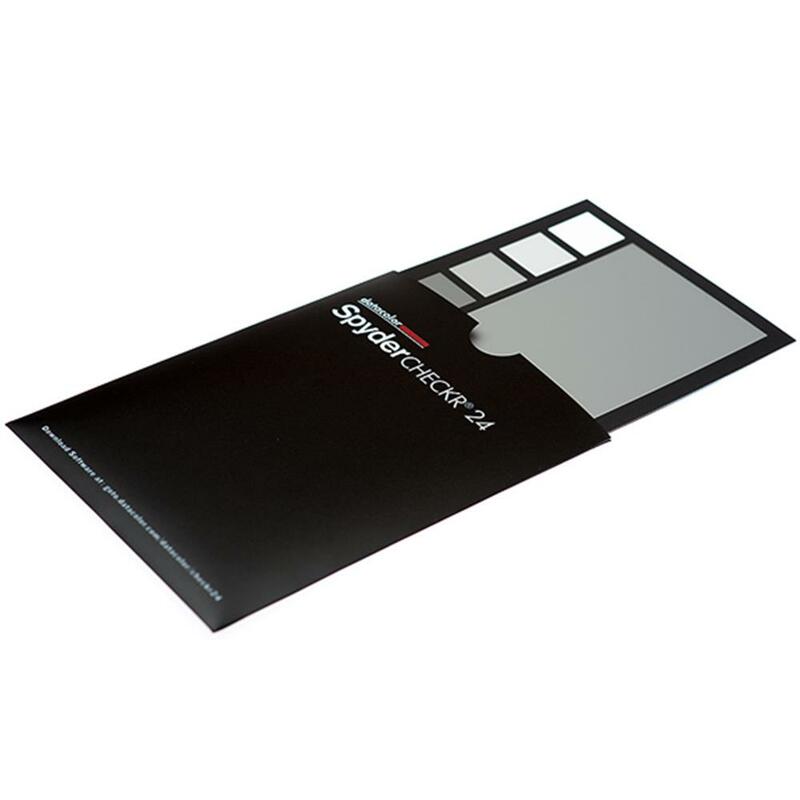 SpyderCHECKR 24 ships in a thin, durable plastic slipcover, to fit easily in your equipment bag. 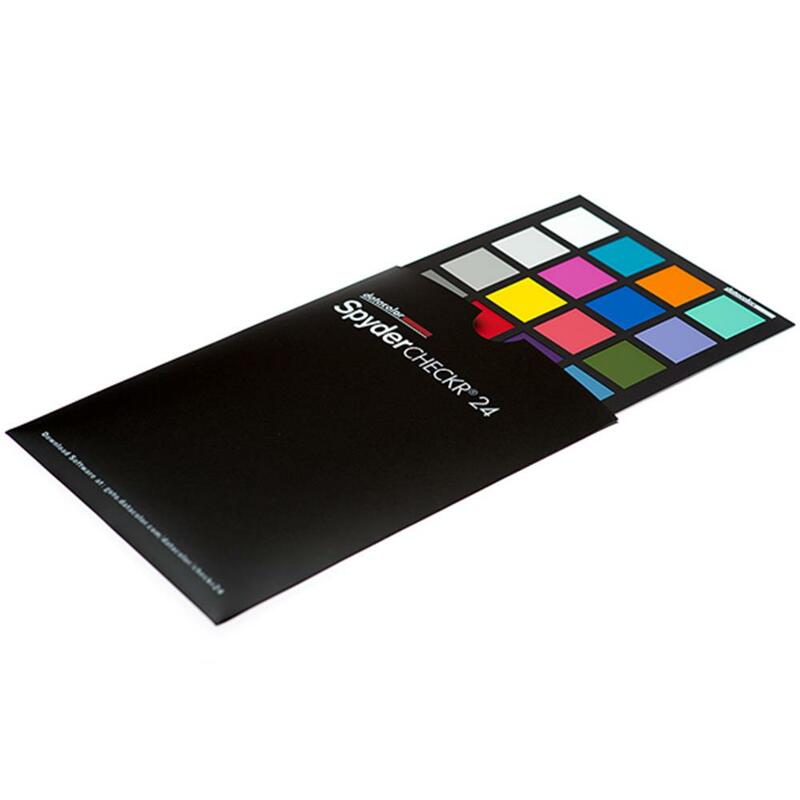 SpyderCHECK 24 offers full size, spectrally formulated pigment patches, and highly accurate HSL correction software. SpyderCHECKR 24 provides easy-to-use software, which automatically rotates the target from any of the four possible orientations. 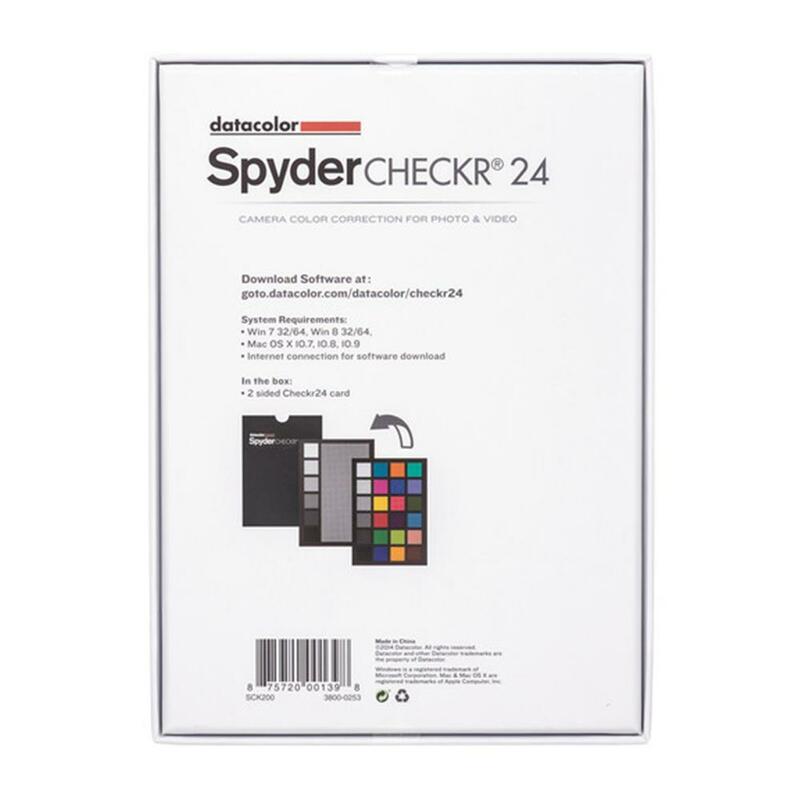 SpyderCHECKR 24's calibration software analyzes the results of your test photo and instantly creates a profile which you then apply in your workflow with RAW import software such as Adobe Photoshop, Adobe Lightroom and Hasselblad Phocus, for automatic color correction. 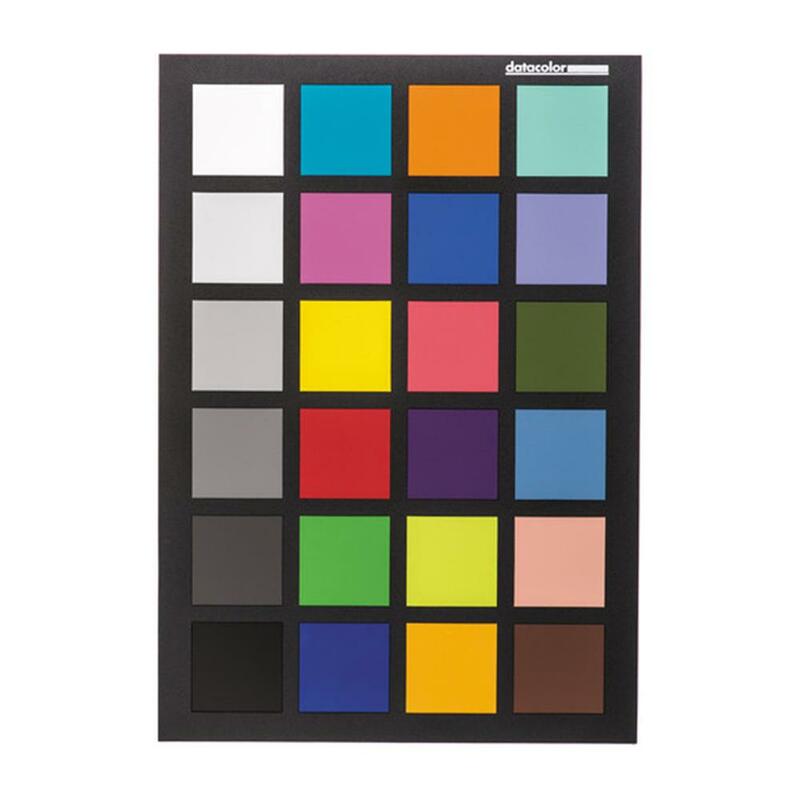 Standard 24 colors near or within the sRGB color space to assure usability in a wide range of camera and video output devices. Color temperature and exposure can vary from shot to shot and from scene to scene. A single-sheet with easy-to-use gray chart delivers scene light color and intensity data that can be used to adjust camera settings. Adobe Lightroom v2 and higher, or Adobe Photoshop CS3 and higher, or Hasselblad Phocus 2.8 and higher, or Blackmagic DaVinci Resolve 11 and higher.